By thinking outside the box, agents can truly embrace the idea of space-as-a-service and create entirely new, and highly valuable, streams of revenue for the future. News this week from America sees Fernish, a furniture rental service, receive $30 million of investment, led by Real Estate Technology Ventures. Fernish is a startup which rents out designer and name brand furniture on a flexible basis, from sofas for around $18 a month, to desks for $8 a month. Once the rental is finished, the furniture is returned, refurbished and then made available for the next customer who wants it. It’s a simple, yet effective, idea which enables people to furnish their rental property to their desired standards and taste without having to shell out heaps of cash to buy each individual piece of furniture. 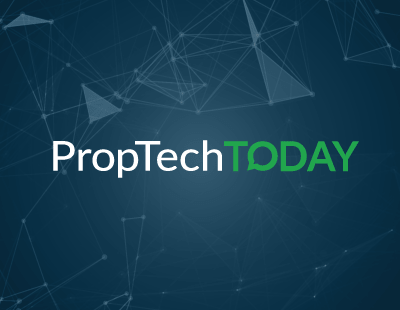 At a time when agents are concerned with how to boost revenue in the face of the ban on upfront tenant fees, it is companies like Fernish - providing services for residential space - who may well hold the answer. Is there money in rent-a-bed? $18 each month sounds like quite a lot of money for a sofa, certainly if you rent a number of pieces at once the monthly bill is going rack up. But, we should all know by now that people, especially young people, are willing to pay for extreme convenience, ease, and objects of desire. A shifting of our culture means more people are renting for longer and moving more often, be it for work, study, or the general drive to feel free of ties. As such, the act of buying furniture is a conflicted one. Renting is no longer just a financial decision, it’s a cultural and personal one. Large items of furniture become a burden to someone who moves a lot. Thus, there is little point buying pieces. However, just because they’re renting, this doesn’t mean they’re working with a small budget. There are now renters in the world, and plenty of them, who want high-end, Instagram-friendly, furniture without having to actually buy and be lumbered with it. Furniture is, of course, just one example of how the concept of space-as-a-service is evolving and expanding. Agents should be seeing the rise in the number of such service companies and recognising great opportunity. The opportunity is there for agents and property firms to partner with companies like Fernish in order to create new revenue streams. By upselling these services to new tenants, you can not only make more money, but also provide a much more comprehensive customer journey and experience. Rent a flat and rent your furniture at the same time - makes sense to me. It also opens the door for the agent to receive a 2%, 5%, or 10% cut of any upsold revenue. Instead of creating revenue by creating additional charges and fees for tenants and buyers, agents in the digital age can increase income by offering tenants better, more comprehensive experiences. That’s a negative moneymaker turned into a positive one. That’s a win-lose relationship turned into a win-win. In fact, it’s a win-win-win relationship because your new service partner is happy, too. The modern business world, at least certainly the b2c market, is all about positives. It’s a major part of the cultural shift being driven by younger generations. Negativity and selfish opportunism don’t resonate with the modern consumer. They have no time for it. No respect for it. And they certainly aren’t going to justify it by patronising it. If agents can embrace this idea for themselves - positivity over negativity, and I’m not asking for a free love, everyone’s-a-hero, naive kind of positivity here - we will see a closing of the gap which currently exists between tenant (and buyer) mindset and agent mindset, an end to the tug-of-war we endure today. Fernish, or rather flexible furniture hire, is just one example of space-as-a-service opportunities for residential agents but it takes some out of the box thinking to stumble across more. Quick fire thinking gets me to utilities - the so-called ‘Big Six’ energy providers are far from the flavour of the month. Instead, companies like Bulb are providing cheaper, greener energy to rival the likes of British Gas. Agents could look towards these small, emerging providers and strike up relationships. If nothing else, the positive PR of being associated with environmentalism and sustainability will be priceless. Another interesting example is one to be stolen/borrowed from Amazon - virtual showrooms. Amazon has launched virtual showrooms to help it to sell more furniture. Imagine if agents had the ability to offer virtual tours of rental properties and, once the deal has been made, make use of that VR tour again to enable tenants to walk through and choose what furniture they would like to rent by placing and replacing pieces at will. In most cases, I think agents remain a bit too stiff; rigid. The most imaginative upselling I’ve known is for them to allow the company they use to complete referencing checks to then cold call tenants to try and sell home insurance. Sure, worth a shot, but it’s not going to be enough to recoup losses from banned fees and online competition. It’s not going to get you any media exposure, nor positive word-of-mouth (aka virality), and it does not reflect the mindset of positivity and creativity that young generations are increasingly hopeful to maintain in their business transactions. Think of it this way, when kids in the 80s first watched the film Wall Street, ambitious and ruthless stockbroker, Bud Fox, played by Charlie Sheen, was seen as cool and aspirational despite his blatant character flaws. When kids today watch the same film, they see Bud as little more than another sh*t banker who deserves what’s coming to him. Times have changed, attitudes have changed. Agents must change to reflect them. Searching for and partnering with creative and positive service providers to enable more comprehensive and enlightened customer service, is one of the best ways, I think, that agents can up their game in 2019. 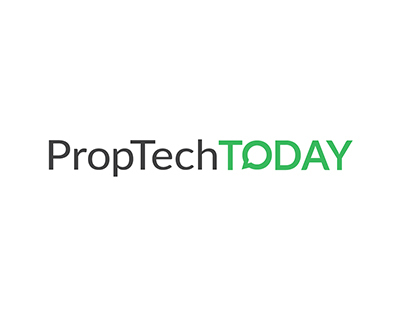 *James Dearsley is a leading PropTech influencer and commentator, and is co-founder of PropTech platform Unissu. You can follow James on Twitter here. There's some very cool companies to watch in the UK at present- Homewings deliver an awesome Interior Design service at a restricted price and are keen to partner with agents. Harth (harth.space) are also doing cool things in the luxury item rental market which again great for high-end market agents where clients are less budget sensitive if they achieve the look/lifestyle they want.